NextEra Energy is about to get some Aloha spirit. The energy giant just acquired Hawaiian Electric Industries in a transaction valued at $4.3 billion, which includes the assumption of $1.7 billion in HEI debt and does not include the bank owned by HEI. HEI shareholders will receive a premium of approximately 21 percent on the share price. Citigroup Global Markets, which has some experience in this area, served as the financial advisor to NextEra Energy. J.P. Morgan Securities advised HEI. HEI also owns American Savings Bank, which will be spun off to HEI shareholders and established as an independent, publicly traded company. Hawaiian Electric Industries shareholders will receive 0.2413 NextEra Energy shares per Hawaiian Electric Industries share and a one-time special cash dividend payment of $0.50 per share. Jim Robo, CEO of NextEra Energy, comments, "We are proud that Hawaiian Electric has agreed to join our company in large part because of our shared vision to bring cleaner, renewable energy to Hawaii, while at the same time helping to reduce energy costs for Hawaiian Electric's customers. Today, Hawaiian Electric is addressing a vast array of complex and interrelated issues associated with the company's clean energy transformation. We believe our strengths are additive to Hawaiian Electric's, creating an opportunity to enhance value for Hawaii's strategically important energy industry." The deal is subject to Hawaii PUC approval and approval by HEI shareholders. 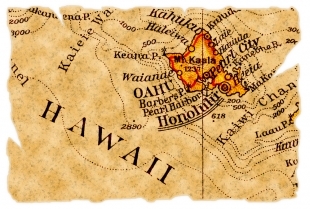 Greentech Media reports here on the troubled state of the solar industry in Hawaii. Here's an article suggesting that an HEI acquisition might be a good idea. MJ Shiao, GTM Research solar director, comments, "With one in every ten customers with solar and thousands more PV systems set to be interconnected, HEI is the living case study for high-penetration PV and the potential benefits and pitfalls of advanced PV integration regulations and technology. It will be interesting to see whether NextEra's acquisition will influence the ongoing development of requirements in Hawaii, as well as to see how HECO's experience will translate to [NextEra company] Florida Power & Light, which has seen relatively little distributed solar since Florida's ARRA-backed incentives ended." In an investor call this afternoon, CEO Robo said that NextEra would "find Hawaiian solutions to Hawaiian problems." No real details were provided on the regulatory challenges ahead with Hawaii's PUC. Robo spoke of using NextEra's renewable capabilities in Hawaii, deploying more energy storage and considering an undersea cable between the islands.